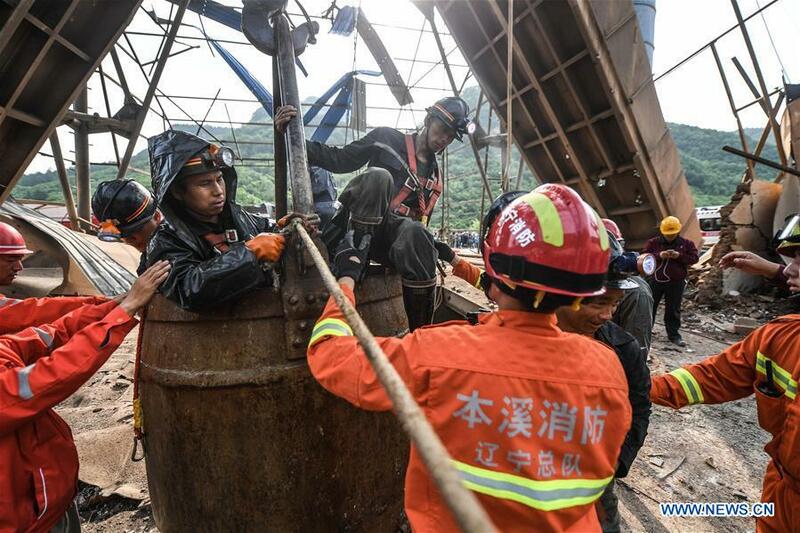 Twenty-three miners have been rescued after an iron mine blast in northeast China's Liaoning Province that killed 11 and injured nine, local authorities said Wednesday. The blast occurred at 4:10 p.m. Tuesday when miners were dropping explosives down the 1,000-meter-deep mine shaft. The explosion killed 11 people, injured nine others above-ground, and destroyed the hoisting system in the mine, while trapping 25 miners underground. The first batch of six miners were lifted out of the shaft at around 5:20 a.m., and another 17 were lifted as of 7:25 a.m. Wednesday.